The moment I met Eloise Corr Danch with her bright beautiful face and quirky eclectic style I knew we’d be fast friends. 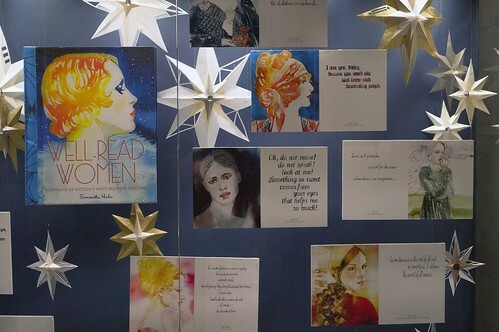 I’m astounded by her artistic versatility and was completely honored when she agreed to collaborate on the New York Public Library exhibit featuring my book. 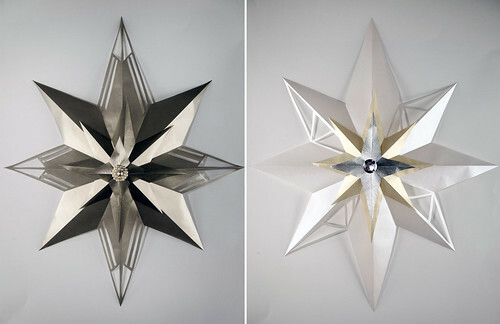 Eloise created these incredible paper stars inspired by Art Deco/The Ziegfeld Follies to hang alongside mounted art from my book. The exhibit will run through October. 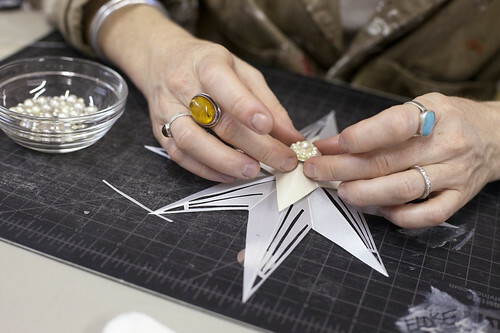 I’m excited to share a little peek inside Eloise’s Brooklyn studio as she delicately created these incredible stars. If you want to see Eloise working in real time, check out this incredible video of her making her signature paper flowers. Eloise works with a range of clients including: Diane Von Furstenburg, Vogue, Bergdorf Goodman, Harry Winston and Martha Stewart. She does everything from editorials to visual merchandising and prop styling. She’s represented by Art Department. I love how this series of photos makes the stars look so easy to make, though I know they’re not. Such a lovely way to display your stunning book. I know! 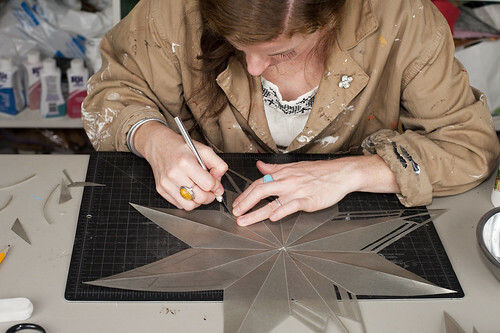 She’s such a master of making things look easy but everything she does is so detailed and masterful. I could get lost on her site for hours.